The Italians began to arrive on Scottish shores from the late 19th century onwards. For some, it was seen as a stopping point en route to the Americas; for others they were recruited. Initially they came from northern areas such as Tuscany, but emigration spread to the south (Naples region) by the 1900s. Scotland saw an increase in Italian immigrants when America changed its immigration policy and closed the door of opportunity for many of the poorest Europeans. Why did they leave their homeland? The main reasons Italians sought a new life was as a direct result of economic conditions. Poverty was rife and living conditions were harsh, with famine and sometimes droughts. Furthermore, Italy had an agricultural-based economy that was experiencing severe hardships and industrialisation was slower than in other European nations. 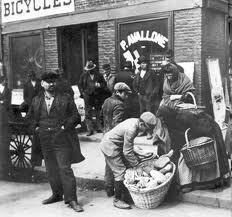 Many men saw an opportunity to go elsewhere to earn a living and therefore left in order to support their relatives back home. After this slow start, in which the Italian immigrants failed to make any real economic progression, the Italians seized the opportunity to move into the catering world. Initially working as ‘hokey pokey’ men, selling ice cream from barrows, these men had been recruited in London and sent to Scotland from 1880 onwards. 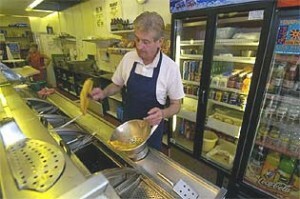 They quickly moved into working-class areas, combining ice cream making with selling fish and chips. 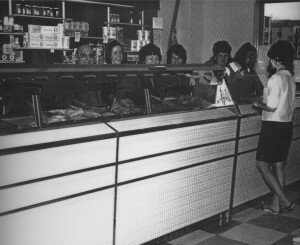 Restaurants and takeaways were established and sold food made using ingredients widely available in Scotland – fish and potatoes. Special relationships and mingling bloodlines don’t come much thicker than the Scots and the Italians and this tie dated right back to the time of the birth of Bonnie Prince Charlie who was born in Roma in the year 1720. So they had to make do with what this land had to offer them. They were a versitile lot and made the best of what produce was at hand. We of course had our potatoes, plenty potatoes, and with the green fertile lands came lovely milk from the cows. From the shores came seafood in great abundance. Fresh off the boats these Italians at first traded their statuettes. The Italians loved this land. The families did not all stay in one seaport but they distributed throughout the country. This is how we find some members of our families in Edinburgh and some in Aberdeen and Glasgow. cities such as Edinburgh, Glasgow, Aberdeen and Inverness. successful that he and others brought many more Italians over to join them. they were then given a barrow and became ‘hokey pokey’ men. From these beginnings the friggitoria or gelateria business was born. They soon cottoned on to this trade which had been flourishing in Clerkenwell in London. Realising that all that was needed for this was a few basic necessities such as a cylindrical zinc drum with a wooden barrell inside, and of course the fresh full cream milk which was plentiful in this new land, some salt and ice. The procedure was simple. You boiled the milk and then left it to cool overnight. Next morning you would fill the space between the two barrells with the salt and ice mixture. This created a brine, maintaining the ice-cream at the correct temperature. The milk mixture was then poured into the inner cylinder and by hand-turning it, the milk eventually froze and the ice cream was formed. It was not an easy process and took great physical strength for the churning process. 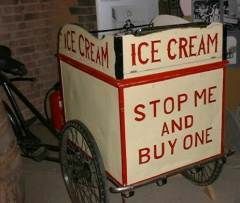 The barrow would then be used to push the ice cream around the streets .And why were they called ‘hokey pokey men’? In Italian ‘ecco un poco’, meaning ‘here a little’, translated into the local lingo as ‘have an okey’ – or so they say! Hokey pokey ice cream deserves a special mention in the history of ice cream. 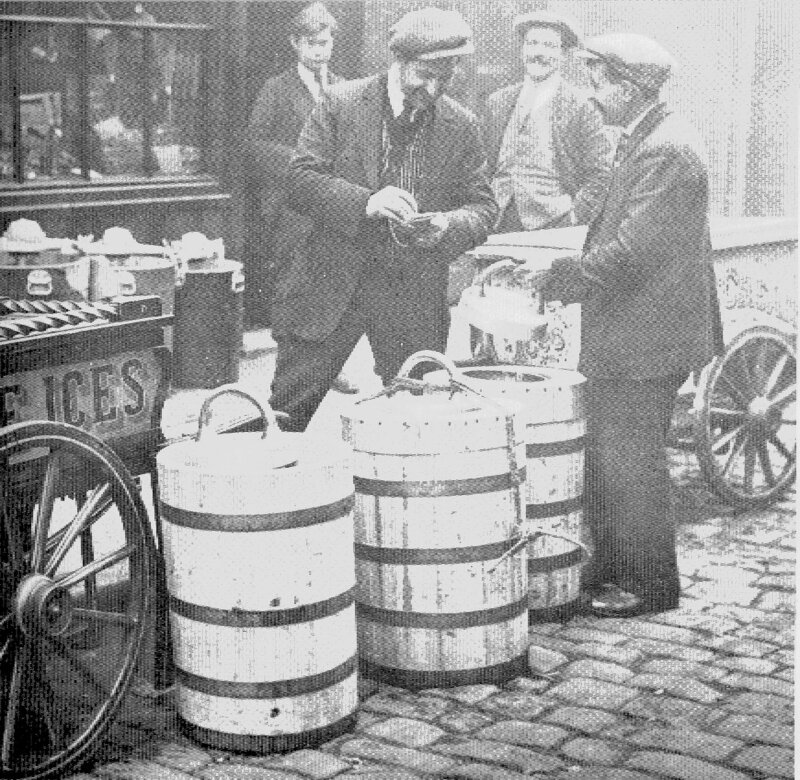 After the soldiers returned home from the American Civil War in 1865, it became difficult to find work in the American cities, and many unemployed immigrants living in those cities became ice cream vendors. 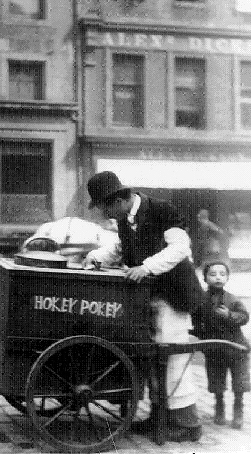 The term “hokey-pokey” soon became identified with poor-quality ice cream, however, as it was sometimes made of questionable ingredients under very unsanitary conditions, and it was not uncommon for consumers to become ill after eating it. The way it was served didn’t help either. 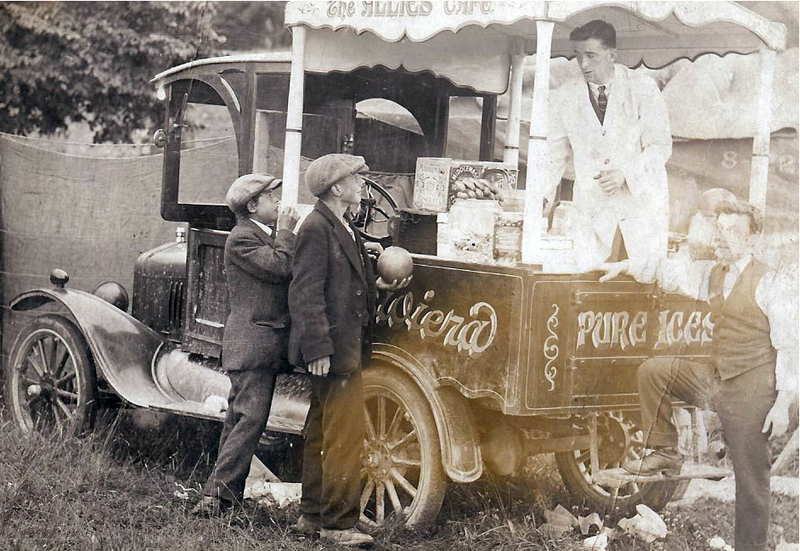 When customers finished eating their ice cream from a penny lick, the glass “penny lickers” were returned to the vendor who simply gave them a brisk wipe with his ever present rag before refilling them for his next customers. Working at first from their homes they started to produce the first of the Italian made ice cream which they sold in the streets of the big cities from barrows. At first they started to produce this with their own communities in mind but it soon became abundently clear that the locals had also fallen in love with this product. 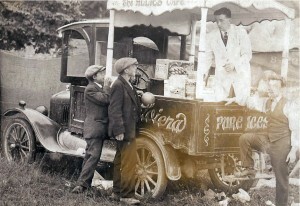 With their shouts of ‘Gelati, ecco un poco’ the locals soon got to know them and they nicknamed them the Hokey Pokey Boys. These carts and barrows came in vaious varieties and forms. The example here is the Baldacchino or canopied sort. In these early days there were no cones or wafers. The ice cream was served in little ‘licking glasses’. These were rinsed out between customers, a practice which increasingly caused hygiene concerns. The Scots/Italian Cafe’ culture started right there, at this point in history. There were many who thrived and whose descendents are still about today. Many, like our own ancestors, were very successful in this new business, but with unforseen circumstances ahead of them, early deaths and new diseases for which they were not equipped, their futures were not so rosy. 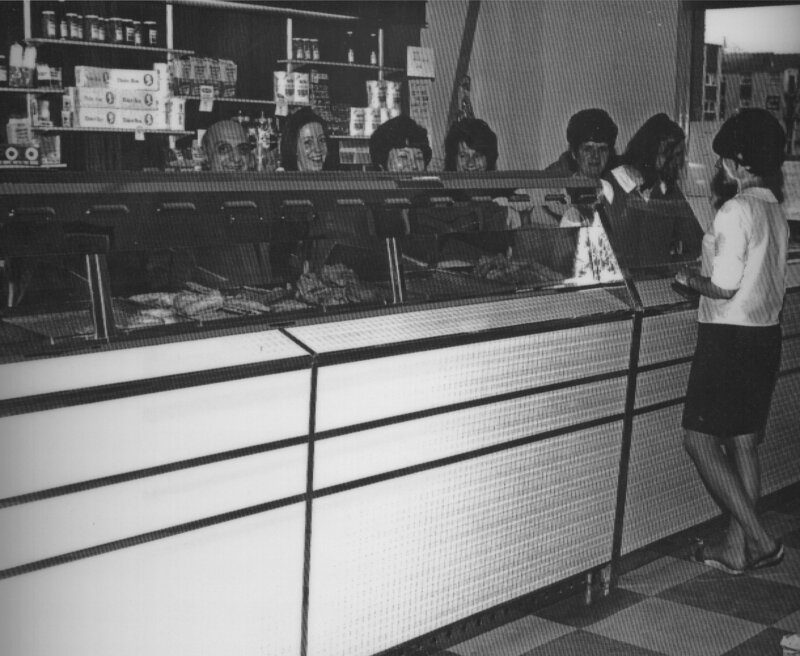 Our own great great grandfather Joe Brattissani was the first of the Edinburgh immigrants to have an operational fish and chip shop in Scotland. 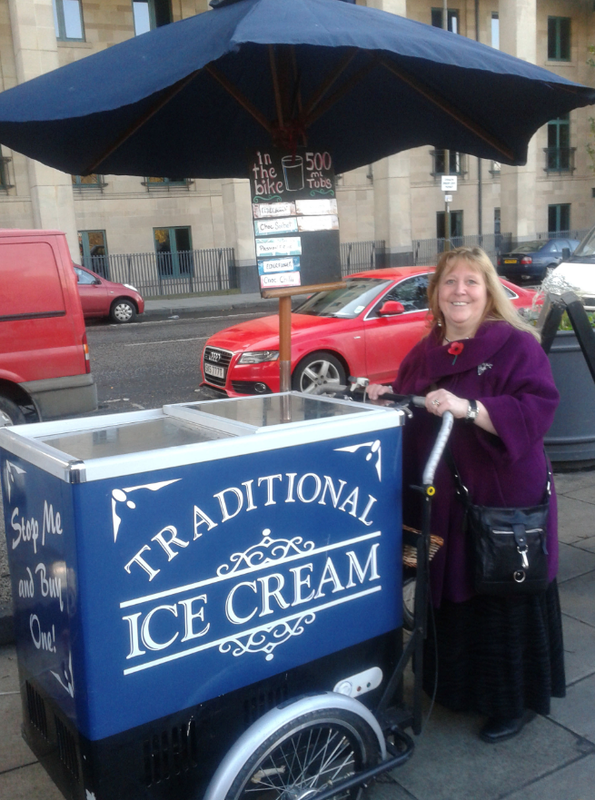 These early shopkeepers were quick to learn the new customs and soon got to know that the Scots are a nation of people with a sweet tooth so they would also offer their hand made ice cream, and this factor in itself helped make their profits grow. The Italians made beautiful ice cream, like no others could, lovely tablets and desserts to die for. Their creativities had a new outlet and they poured their skills into this new craft. The Italian Confectionery was born out of this love for creativity and the Scots loved it. The Chippies of course would establish themselves only through real hard work and backbreaking hours of chipping potatoes by hand. Fish in those days would not be delivered ready for the batter. They would come whole in boxes or crates. Haddock of course is the local Scottish Fish which in those days would have been plentiful around the shores of the country. The fish would have to be gutted and filletted, but it would always be freshly made for the customers who loved this new cuisine. The fat for frying would not be oil it would be lard. The combination was wonderful. It is recorded that Soldiers in Gallopoli remembered with great affection the fish and chips served up by Mrs. Qualatta [Quilietti] in her shop at the fighting five salloon which was situated at the top of Leith Walk in Edinburgh. The Brattessani family came to Edinburgh in the 1870s. 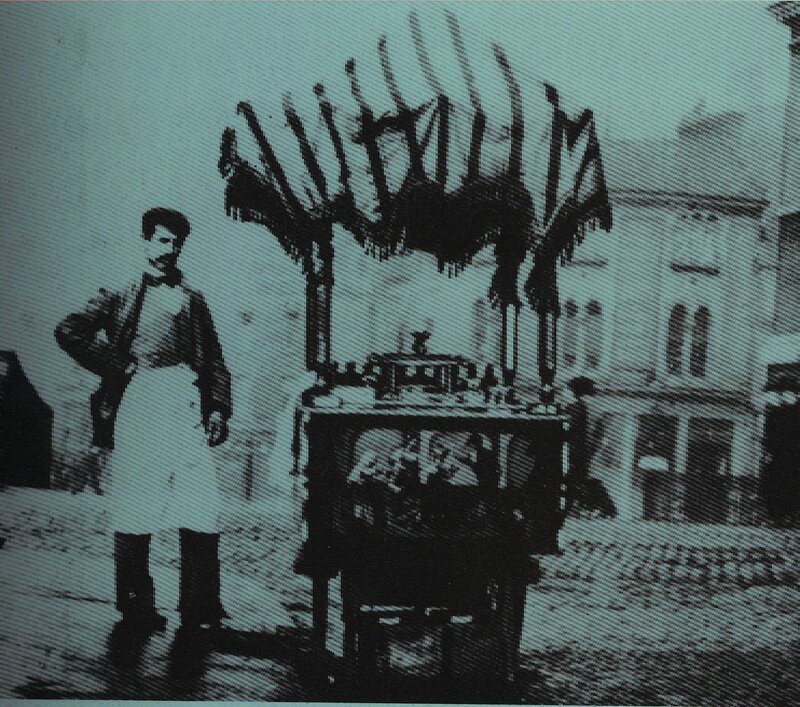 Our great great grandfather Giuseppe or Joe was a great franchiser and had businesses in Paris as well. His daughter Valentina Brattissani, our Great Grandmother was born in Paris in 1870 and indeed the family moved between the cities of Parma in Italy, Paris and Edinburgh for many years. Joe’s children were mostly girls. The girls would marry and set their own paths. So his affections would be as as a Padrone’ to many of these barrow boys and we know that he set us many of his Brattissani nephews on their arrival in the country. 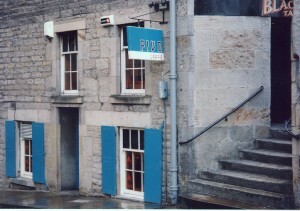 His first business in Edinburgh was in Leith Walk in 1875 and he is documented as having the first Fish and Chip Shop in the City shortly thereafter. 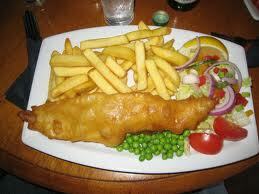 The History of the fried fish originates long before the potato was introduced in Europe in the 17th century. History indeed credits the Portuguese with introducing the dish to Japan [tempura]. In early August each year thousands of people make their way down to the Johhny Moscardini sports stadium to enjoy the annual Fish and Chip Festival. The covered seating has meant that even with the terrible weather that Barga has suffered some years. Freshly cooked pasta, grilled steak and sausages are on the menu but all eyes are on those freshly crisp fried fish and chips that you can only get once a year prepared by the expert hands of the AS Barga cooking team who have now been serving up pesce’ e patate’ for 29 glorious years. The names of Nardini, Conti and Marchetti became high street fixtures as the Italians grafted unremittingly. Some of the settlers returned upon retirement and, by way of homage, started the Pesce e Patate festival 29 years ago as a greasy-lipped celebration of emigration and homecoming. Hi, my grandmothers family were from Stonehaven. They left in 1928 when my great grandmother was pregnant with my grandmother. Their name was McIntosh. 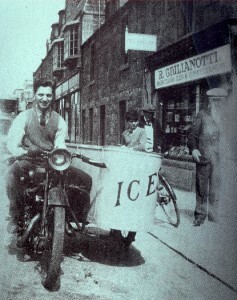 There is something to do with this ice cream parlour Guilianottis in Stonehaven and my grandmothers father, who she never know. He was Italian and she and one of my uncles is dead ringer for the man on this bike. His name was never on the birth certificate, however there was talk in the past about the owner or the owners son as her father. We are desperate to trace her routes and family tree. Any information would be greatly appreciated. Hi my father had a fish and chip shop in Stonehaven in the 40/50 his name was Alessandro he also had relatives in Stonehaven who had a sweet and ice cream shop , the name Giulianotti is still above a shop in Stonehaven, my dad also had a little ice cream van where he sold his ice cream on the beach , dads full name was Alexander Giovanni Giulianotti .